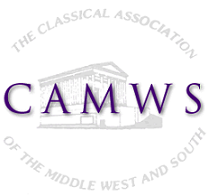 There is a page for meetings uploads at https://camws.org/2015-meeting-uploads. This can be edited like any other piece of content, so as to add help text in the Description field. Any speaker who has been given the password for the account with the username 'Uploads' can upload items to this page. At time of writing, the password for this generic user with upload rights is CAMWS-Uploads-Login. An admin can change this by visiting People > Uploads, and entering a new password, and clicking 'Save.' Once that generic 'Uploads' user logs in, he or she will be taken straight to the upload page for the current year. In future it will become necessary to create similar pages for future meetings. You may wish to contact the website developer to do this. In case you wish to do this yourself, instructions follow. Log in to the site as an administrator, and select Content > Add Content > Directory Listing. This node should now be set up to mirror that at https://camws.org/2015-meeting-uploads. There are several items under 'Folder Rights', 'Folder Upload', and 'Folder Presentation' which need to be set up, which can be done by copying the settings from https://camws.org/2015-meeting-uploads. under 'The system file path to the directory' set the directory path where the new set of uploads will live. For 2015 it is 'sites/default/files/meeting2015/uploads' so for future meetings it would make sense to use 'sites/default/files/meeting2016/uploads', 'sites/default/files/meeting2017/uploads' and so on. create a folder for the above path on the server. You can do this with FTP, or by asking Esosoft. After setting up the page admins also have a link to create new directories from the newly made listing page. from 'URL path alias' (bottom left of the edit page) set a sensible path: the 2015 page has a URL of '2015-meeting-uploads', so setting this to '2015-meeting-uploads' and so on would be suitable. now go to Configuration > Workflow > Rules and edit the 'Redirect Uploads' rule so that the redirect takes the Upload user to the new uploads page as soon as he or she logs in. For example, here https://camws.org/admin/config/workflow/rules/reaction/manage/rules_redirect_uploads_user_to_uploads_page_on_login/edit/4 you can change '2015-meeting-uploads' to '2016-meeting-uploads' or '2017-meeting-uploads' and so on, and click Save. This will redirect the Uploads user to the address of the new upload page which you have entered when they first log in.